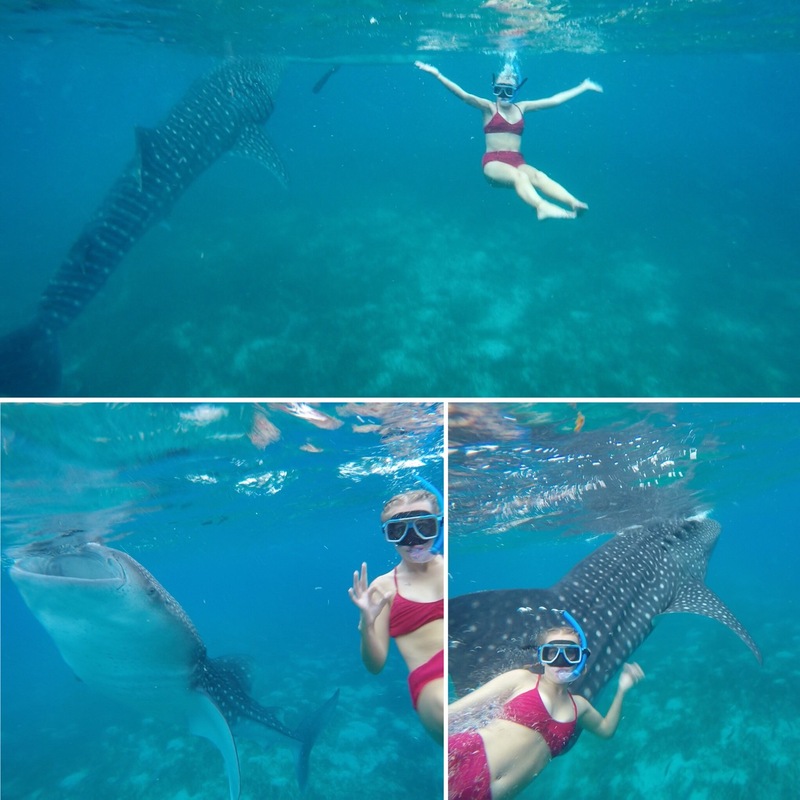 On the 6th November, we headed to a town called Oslob which is known in Cebu Island for its whale sharks. Really, this is the only reason people come to Oslob and that’s made apparent by there not being much else to do here. Another example of this is that the hostel we stayed in. Sharky Hostel is right next to the whale shark viewing briefing area and it’s sole purpose seems to be to get you on the first boat out in the morning (meaning you’re up at 5am!) and then sending you on your way to your next destination (they were very helpful in both respects). We had to get a bus from Moalboal to Bato and then change buses to a one going to Oslob. The only thing with this was that we were told to get off the bus – our bags included – just for the bus to swing round, change its little destination sign and tell everyone to pile back on. We have quickly learnt that the time the locals say a bus will take isn’t how long the bus actually takes – maybe double to triple it for a more accurate time! My favourite bit of the journey was when someone dropped off some supplies to a school. When we stopped all the windows were full of children shouting and waving at us. It was as if we were celebrities and they got very excited when you would wave back. It was really nice and made the journey a bit more interesting. As I’ve said, there isn’t much to do in Oslob for that evening but we were up early anyway to go swim with the whale sharks. We woke up at 5am and got in our swimwear before heading down to the whale watching briefing centre. We had to wait a while whilst people arrived to work, more people came from other hostels and guesthouses and, as a last minute edition to the itinerary, for the rain to stop. We were given a briefing on what was going to happen and the rules. 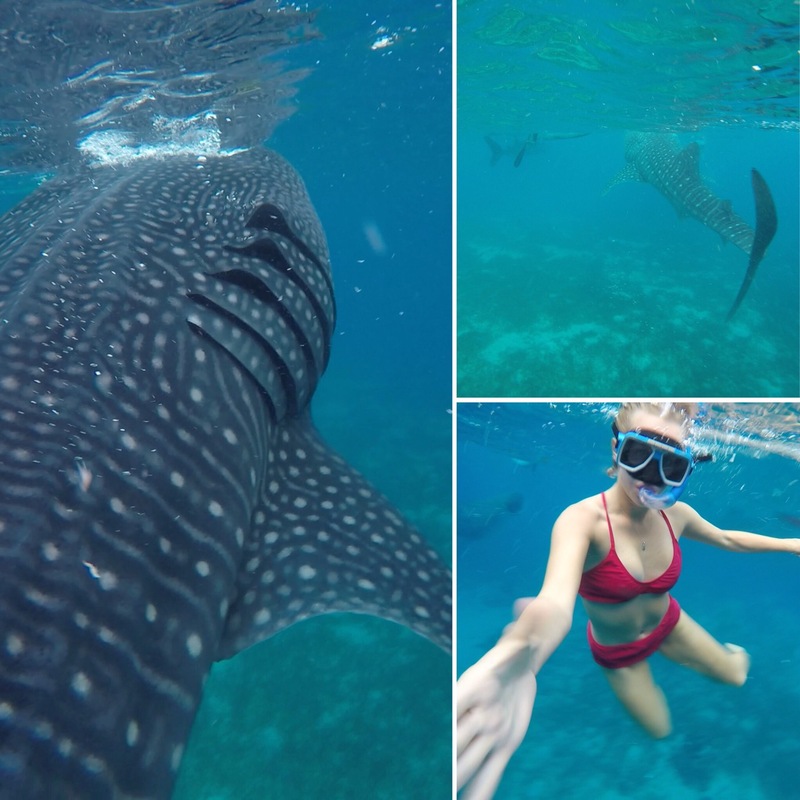 The rules were to keep your distance, not to touch them and to not wear sun cream in the water as the whale sharks are sensitive to the chemicals. 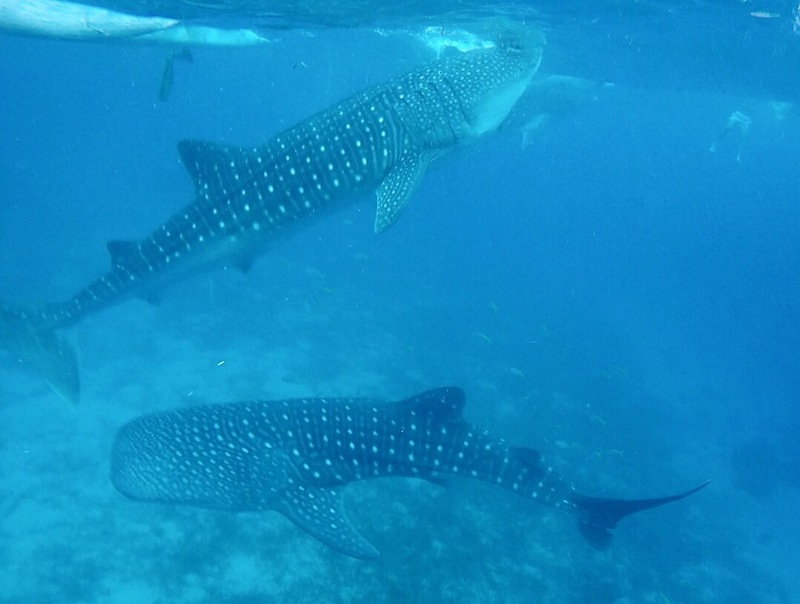 With all of us told and warned of the consequences (fines and jail time – the whale sharks are protected by law) we were given our life jackets and taken to the boats. 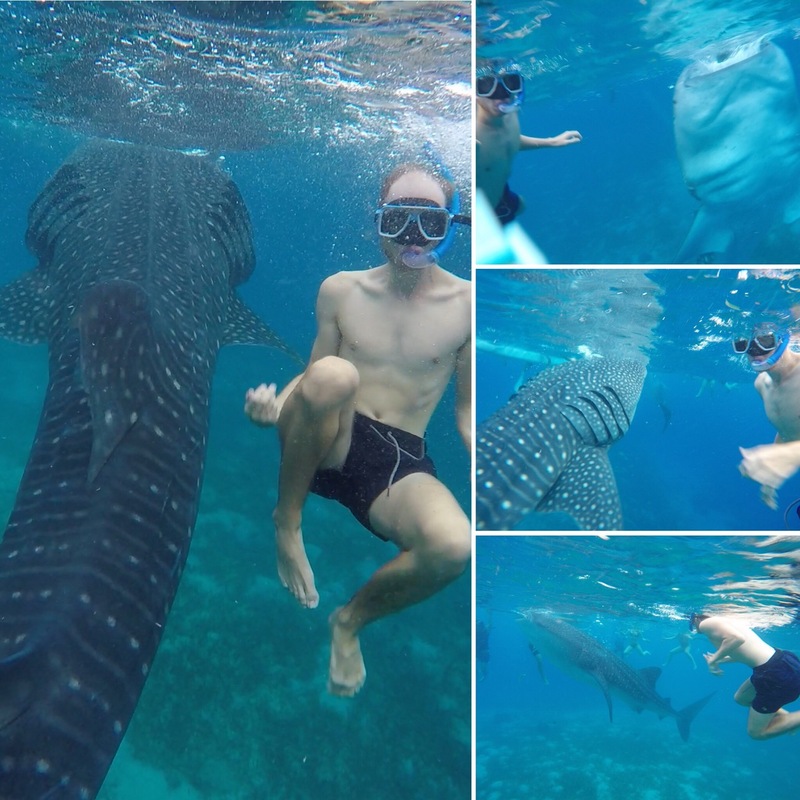 Now, disclaimer time… this is not a fully natural experience to see the whale sharks. 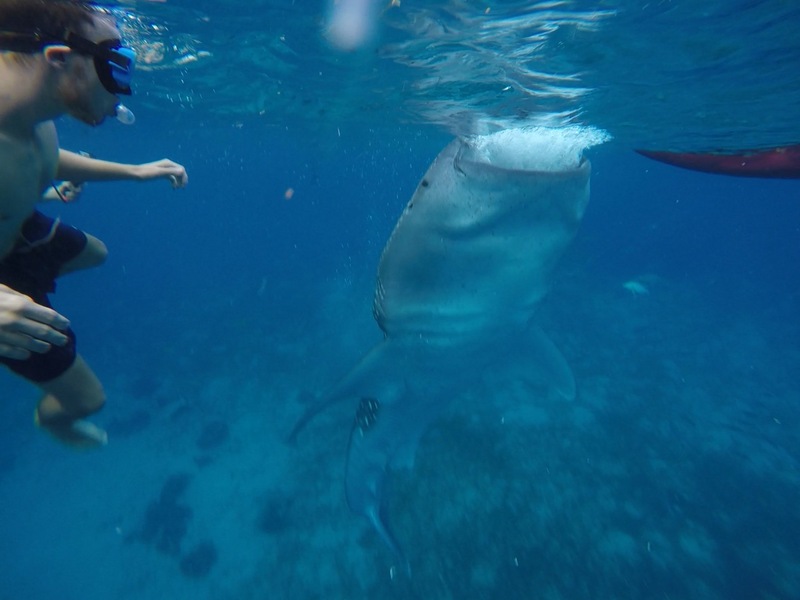 There are people on boats feeding the whale sharks while we are out there which is what brings the whale sharks to the area and what keeps them there. I had read some reviews about them being enclosed but I didn’t see any evidence of that so from what I was able to gather they just stay because of the free food. The people who were on our boat and the others around who are running the operation were big on making us keep our distance so that we didn’t touch them and Niall read that they used to hunt them so this is a definite improvement. Anyway, once we were out at sea we were told to get into the water. 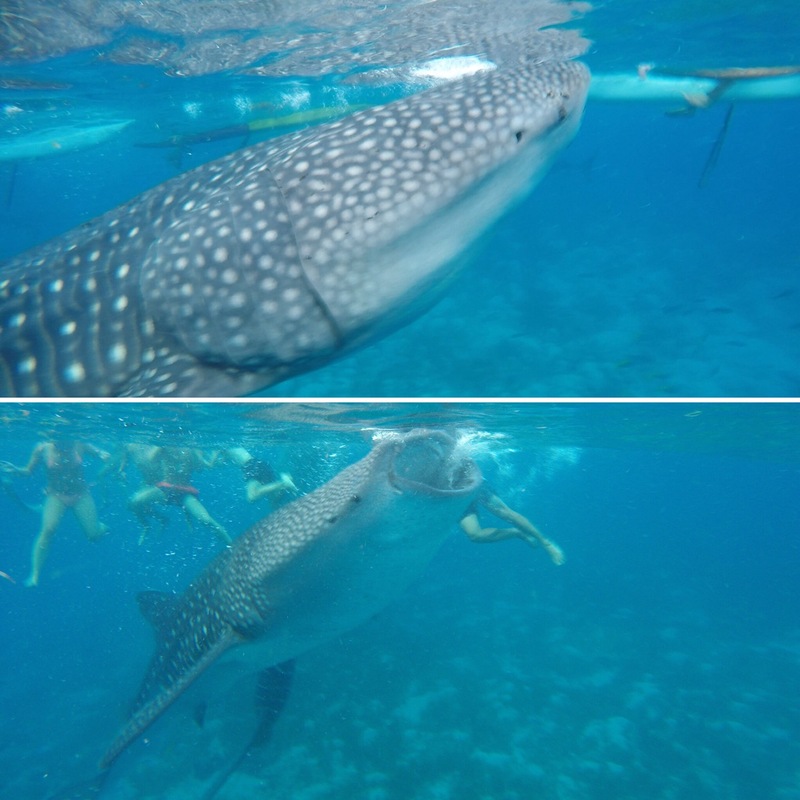 The whale sharks were already under the water getting the food and swimming around. They were enormous (the biggest fish in the world) and very graceful gliding through the water. 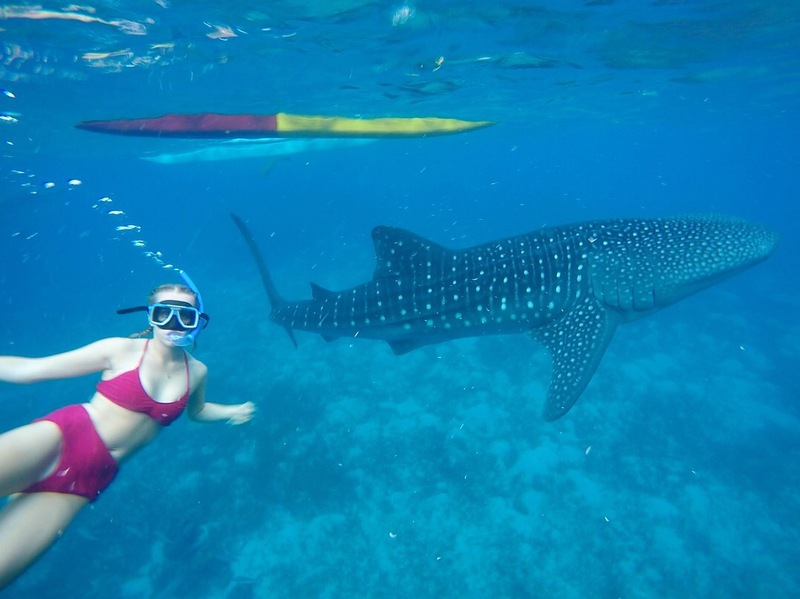 The whale sharks are very wide and long and have spots all over their backs. There were quite a few of them around and they didn’t seem to be phased by each other or by us which was good. It was amazing to see them eat, sucking up the water into their mouths to filter out the food. We were also able to see a turtle who must have come along to see what food they could get. We absolutely loved seeing these enormous creatures and were so happy with the full experience. I know that some people don’t like it as it’s a bit artificial but, from my observations, it didn’t seem bad. 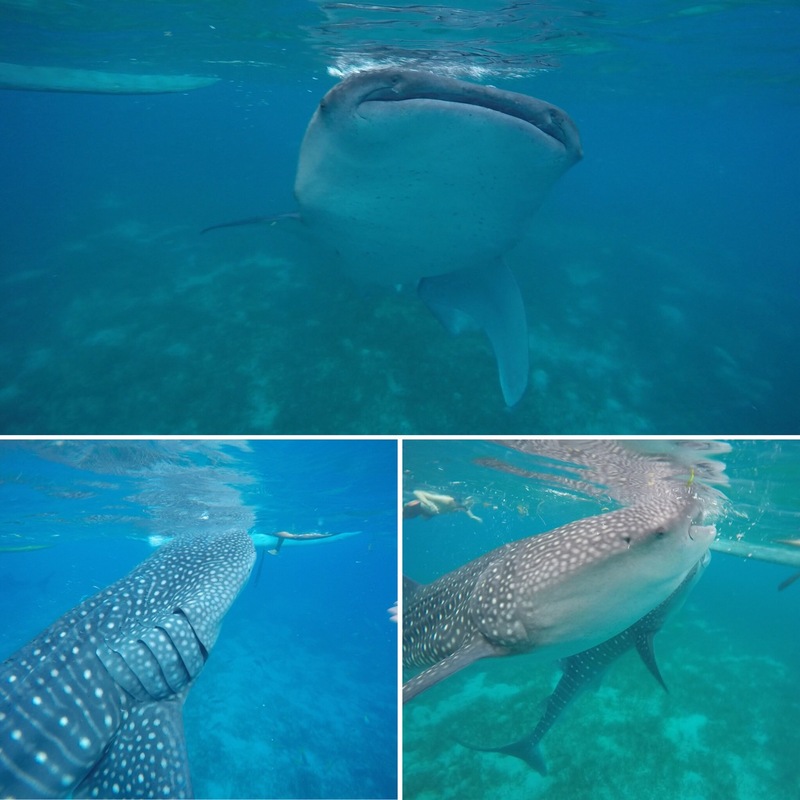 If you want to see whale sharks (and can’t pay $500 for the chance to see them in Australia) then this is a good alternative and will make sure you see them close up doing what whales do.